You've decided to take responsibility for your personal and family's medical testing needs - and we're here to help you get your results in the fastest and most efficient way possible! The speed of your results will be influenced by several variables - including the type of medical test you've selected and the day and time that you visit the local Patient Service Center. Once your visit to the center is complete, the center will express-ship your test specimen by courier to one of the nation's leading laboratories for analysis. Once completed, your results will be uploaded into MedPro Connect's system and will be made available to our Results Counselors. Please allow a minimum of 24 hours (not including weekends) before calling to verify if your results have been received. As a reminder, most medical test results are available within 3-5 business days. 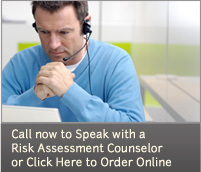 Call (877) 205-7836 today - you need answers fast, and we're here to help.